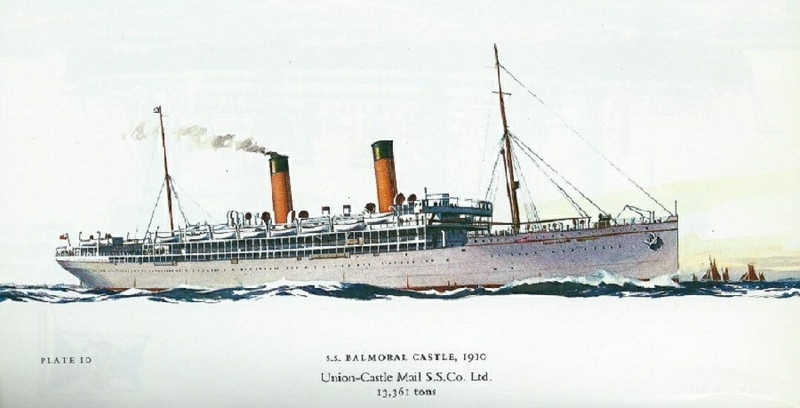 BALMORAL CASTLE (2) was built in 1910 by Fairfield Ship Building & Engineering Co. at Glasgow with a tonnage of 13361grt, a length of 570ft, a beam of 64ft 6in and a service speed of 14 knots. 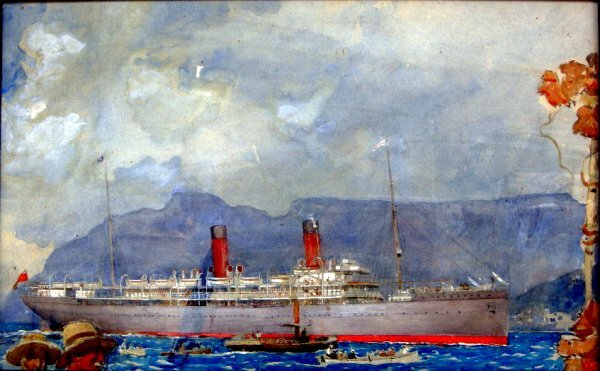 Sister of the Edinburgh Castle (2) she was based on the Walmer Castle but without a break in the after superstructure. 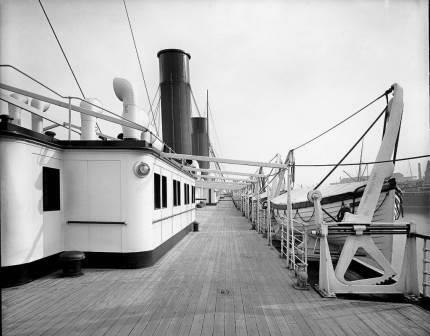 When she made her maiden mail voyage in February 1910 she completed the run in 16.5 days. 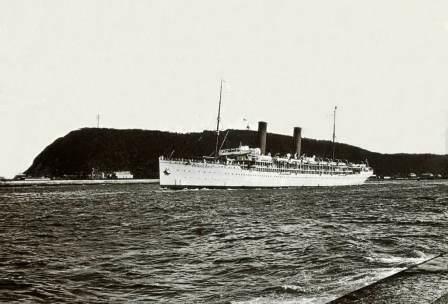 When she came into service in 1910 she was the first ship of the Union-Castle Line to be fitted with Marconi wireless telegraphy. 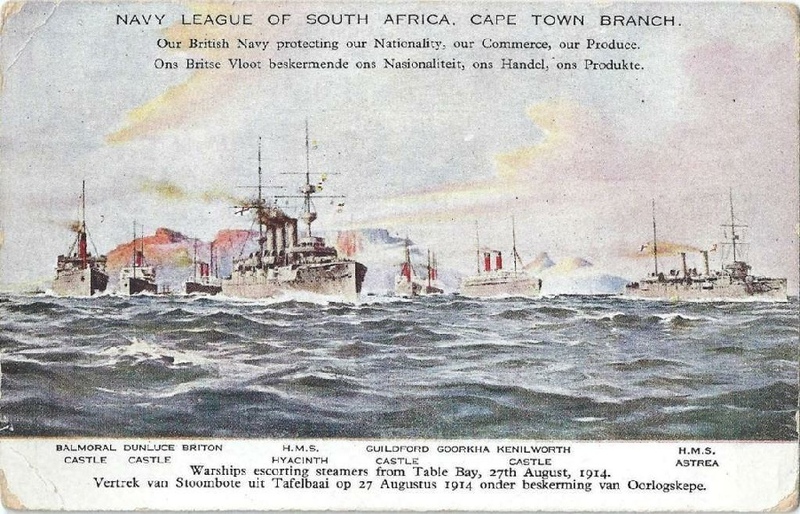 In October of the same year, acting as a royal yacht, HMS Balmoral Castle, with a white hull and yellow funnels, she carried the Duke and Duchess of Connaught to South Africa for the opening of Parliament. 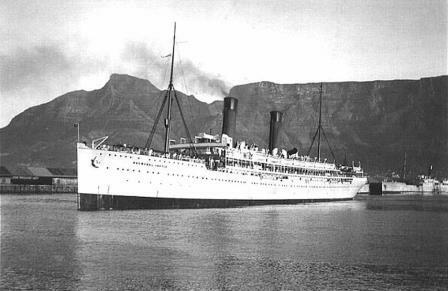 She was requisitioned as a troopship on the northbound voyages in 1914 but continued to maintain the mail service. 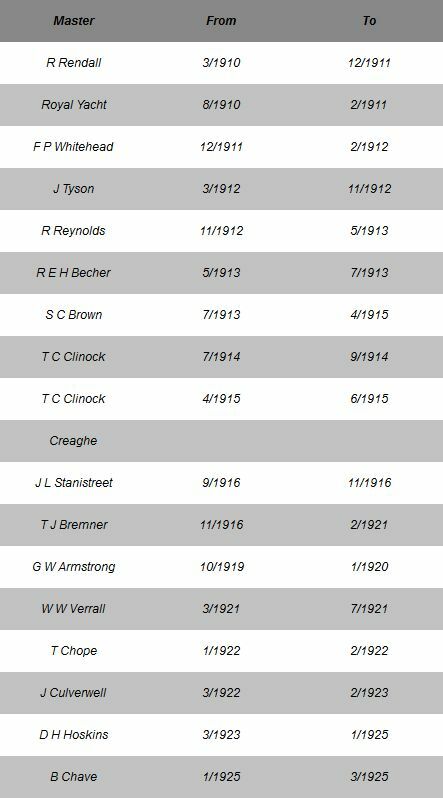 Between March and May 1915 she trooped to Gallipoli landing them on 23rd April. 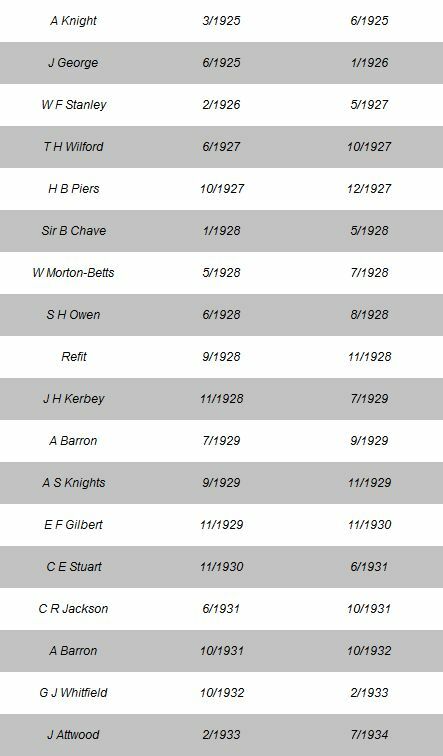 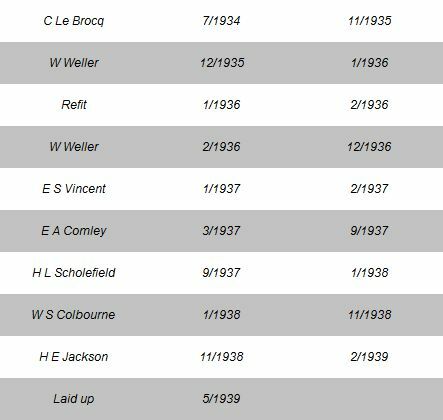 Following the Armistice in 1918 she repatriated US and Australian troops. 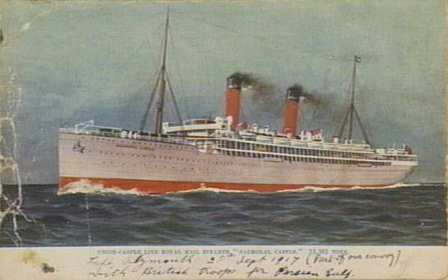 In 1919 she made to voyages between Liverpool and New York for Cunard before returning to service with Union-Castle. 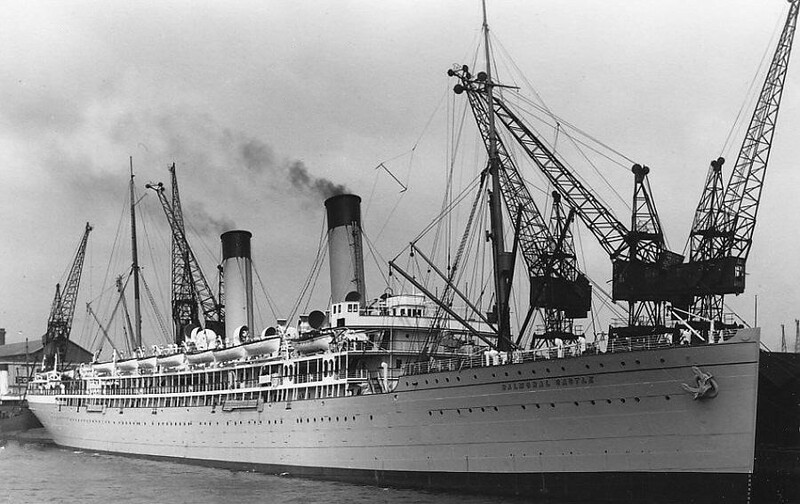 She was broken up at Newport, Monmouthshire in June 1939.